On January 17 Mecklenburg County held its Division Spelling Bee. 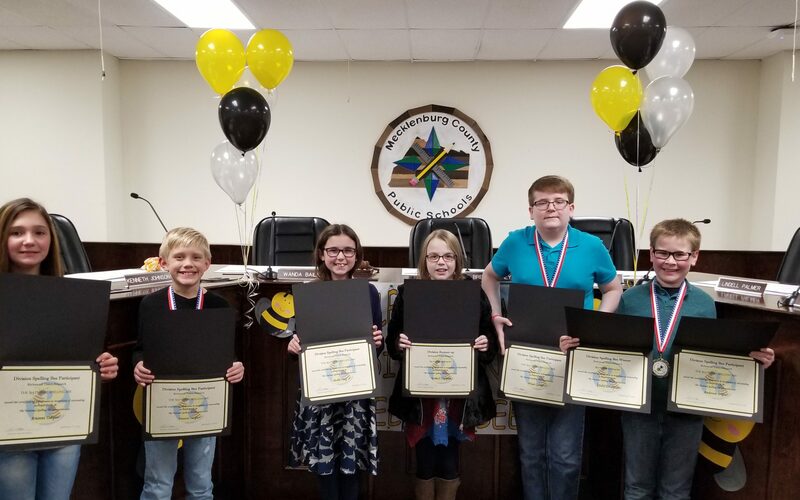 Ariana Tolliver (Chase CIty Elementary), Trenton Tustin (La Crosse Elementary), Mollie Deal (South Hill Elementary), Kendall Copeland (Park View Middle), Wyatt Garner (Bluestone Middle), and Anderson White (Clarksville Elementary). The winner of the Division Spelling Bee was Anderson White and Kendall Copeland was the runner-up.